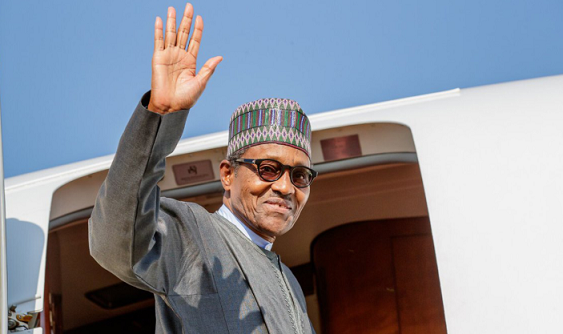 Nigerian President Muhammadu Buhari is set to travel to neighbouring Chad on Saturday for the Extraordinary Session of the Conference of Heads of State and Government of the Community of Sahel-Saharan States (CEN-SAD). CEN-SAD was created in 1998 with the aim of strengthening peace, security and stability, as well as achieving global economic and social development of its members. So far, the body has 29 members. Delegations from 22-member nations are expected at the extraordinary meeting that will be held in N’Djamena. Key issues expected to be discussed in Saturday’s meeting include regional security and the challenge posed by refugee influx in the member nations. President Buhari is expected to travel to Chad with a high-level delegation that will hold discussions with other leaders present on the sidelines of the meeting. This is the Nigerian leader’s second trip this week, having travelled to the United Arab Emirates earlier, where he held bilateral talks with Crown Prince of Abu Dhabi Mohammed Bin Zayed Al Nahyan.